Meeting others through golf is probably the best way to begin any relationship, business or personal. It allows you the opportunity to see others in an environment where there’s no loud music, or smoke-filled rooms. We’re all about having FUN! There’s nothing like a group of 20+ friends getting together for a great round of golf followed by dinner at the onsite restaurant. 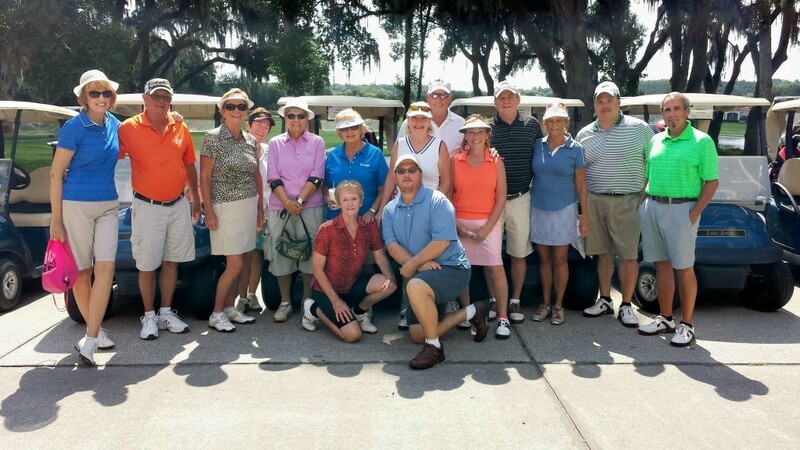 Now is the perfect time to join our singles golf group at beautiful Cove Cay Golf Club. Meet new friends, get some exercise and improve your golf game. The golf league plays at Cove Cay every Thursday at 4:30 pm, so come earlier and get paired with a foursome. The fee is $15 for nine holes of golf and includes your golf cart. If anyone is interested in playing 18 holes (price is $25) just show up at 2:30 pm and foursomes will be set up. Beginning In October the tee off time will be 3:00 pm and the price may be adjusted also. We stay after golf and drink/eat and socialize in the Bayview Pub & Grill. If you have questions contact Rich Riley (Riley18447@yahoo.com).